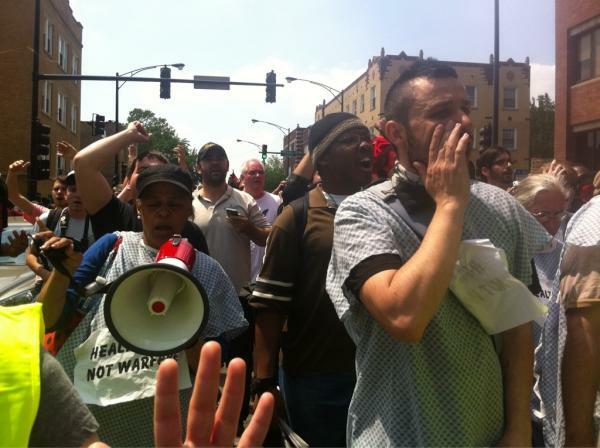 Occupy Chicago, Mental Health Movement Stage Sit-In At Mayor's House, Demand Health Care Not Warfare! 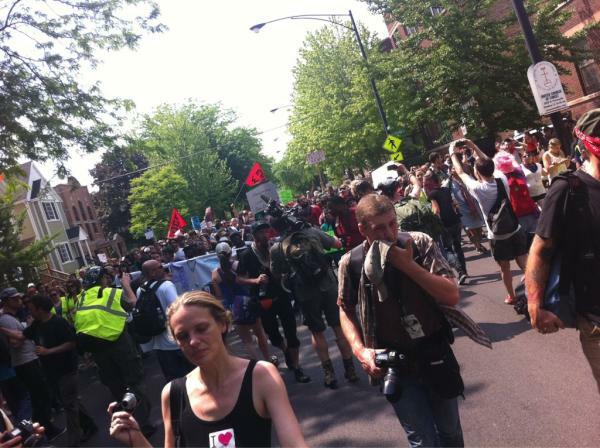 As of 3pm Eastern / 2pm Central, Occupiers and the Mental Health Movement have taken the streets at Rockwell & Montrose and are on their way to Chicago Mayor Rahm Emmanuel's home. The MHM is occupying mental health clinics slated for closure due to the city's austerity programs. Today, thousands of protesters are marching in solidarity against the clinic closures, chanting, ¨They say cut back, we say fight back!¨ and ¨Fight fight fight, health care is a human right!¨ Rahm Emmanuel is being targeted because his government is closing half the mental health clinics in Chicago while spending millions on hosting the NATO war-makers conference. 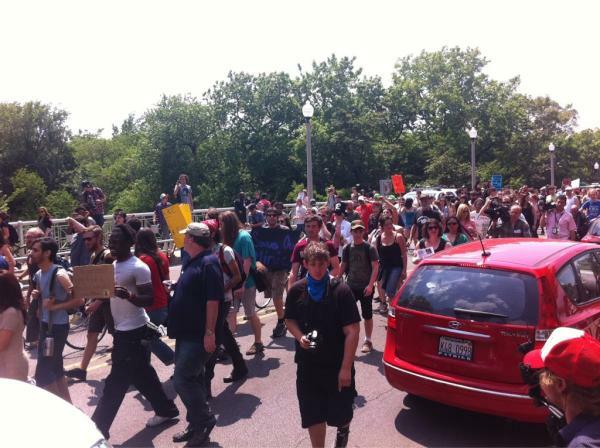 The Mental Health Movement call to occupy the clinics during NATO has been echoed by Occupy Wall Street. Seems that warfare creates more jobs than healthcare. The only consistently effective mental health care is one that treats the unconscious mind because it is 86% of our mental capacity. The 9th circuit court violated law to make secret revisions to local court rules to assure I did not get a new magistrate and judge in 2006. The same old magistrate colluded with Santa Barbara county in their evasion of state laws dictating the experimental treatments are to be developed in conjuction with the public WHEN a there will be a loss of life without the treatment. Accordingly, nearly all mental health care in this nation is basically babysitting, or caretaking for dysfunctional people who suffer unconscious disorders. Here is proof of MAJOR violations of constitutional rights BY JUDGES in order to stop effective mental health care. OWS and others finally protesting a politician? They're slowly learning. Maybe next time they can go to city, like DC, that actually matters and can do something.